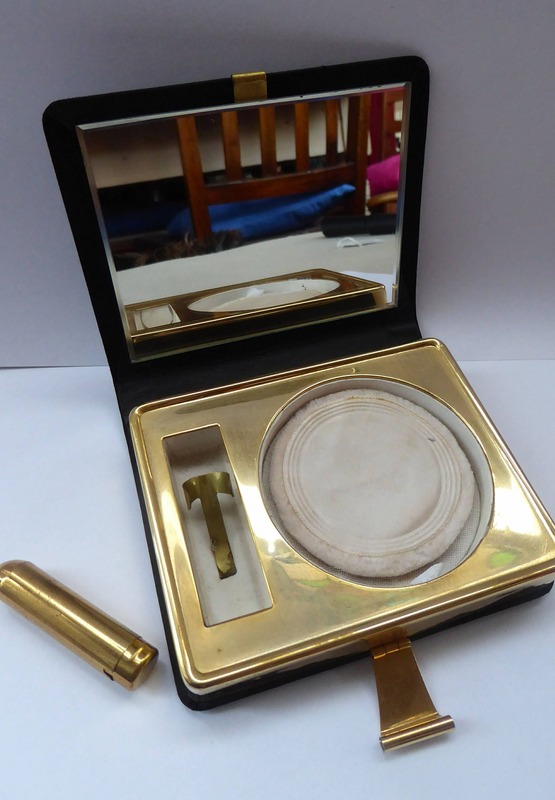 This is very cute- and quite unusual as you dont often see little powder compact quite like this. 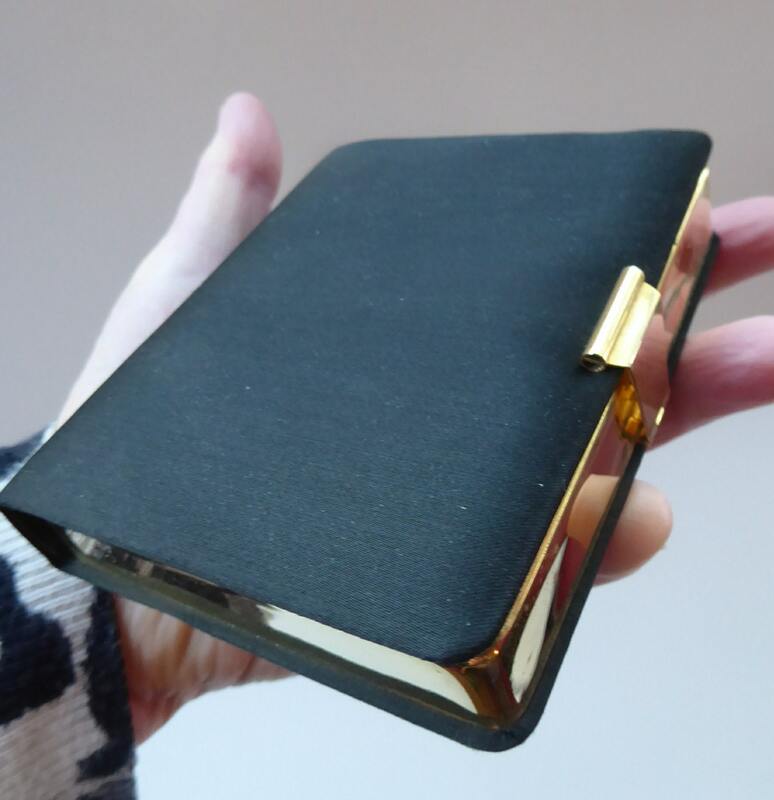 This is a little one-piece powder compact in the form of a little black and gold clutch bag. 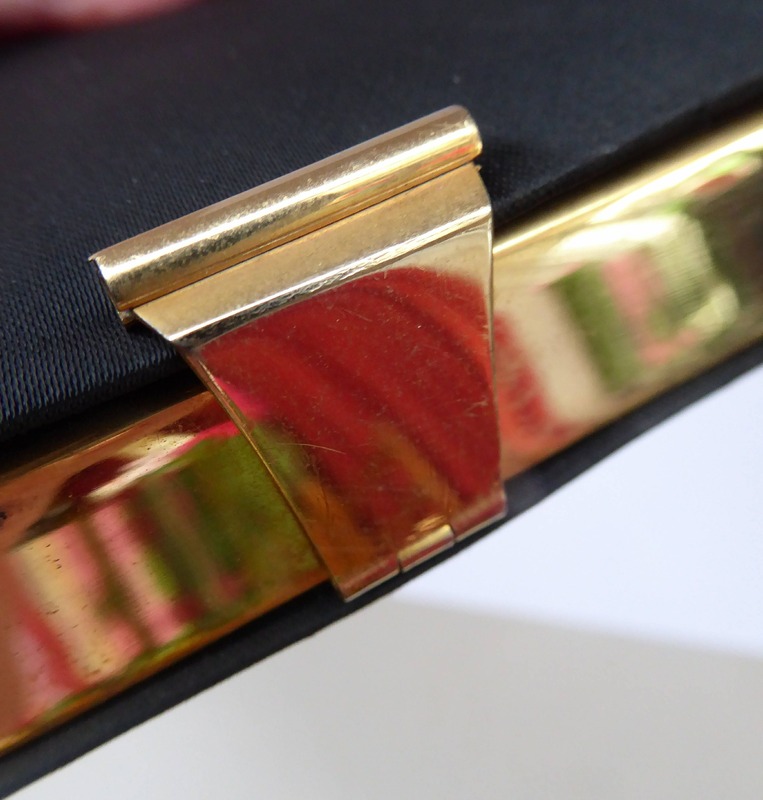 The bottom and top are made of nice, clean padded black crepe silk, and the sides are made from gold tone metal. There is a little gold coloured clip at the front to keep the bag closed. 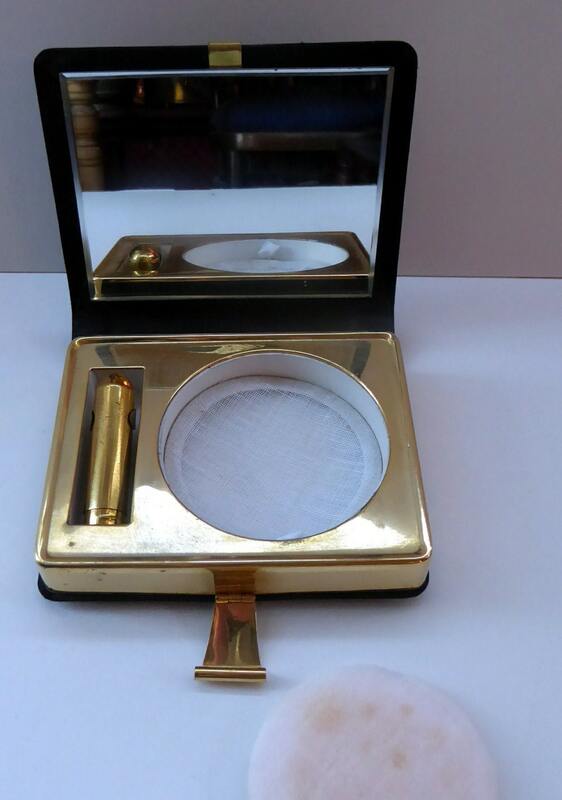 When opened the lid has a nice mirror (no spotting or issues with it). 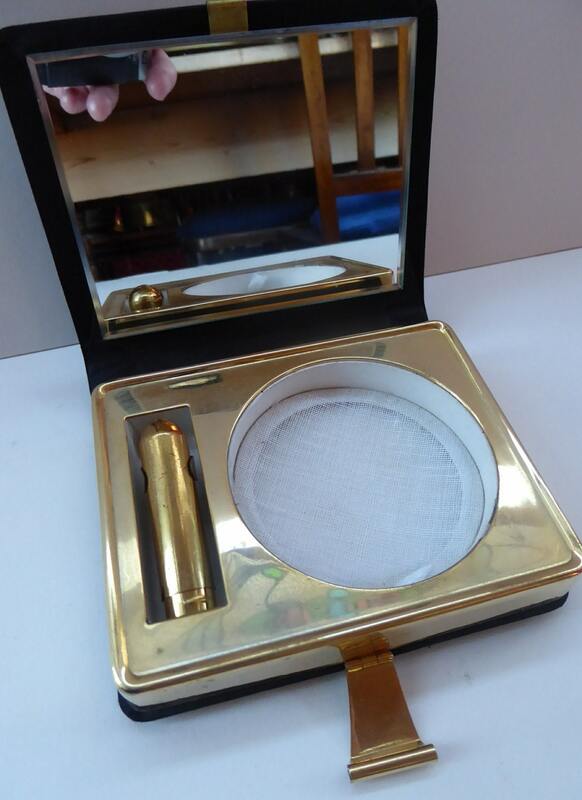 Then we have a little reservoir for to contain your face powder - it has its original sifter and powder puff. I would imagine since there is no lid on the powder section that you would place a pressed cake of powder in there. 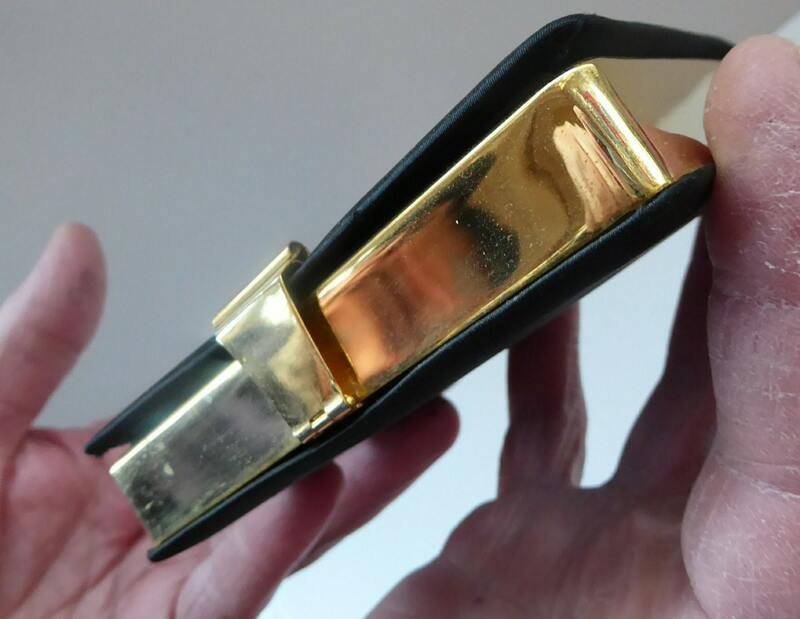 To the side is another section which holds a metal gold tone lipstick holder - this is very slim for vintage lipsticks refills - and would not hold modern larger sized lipsticks. 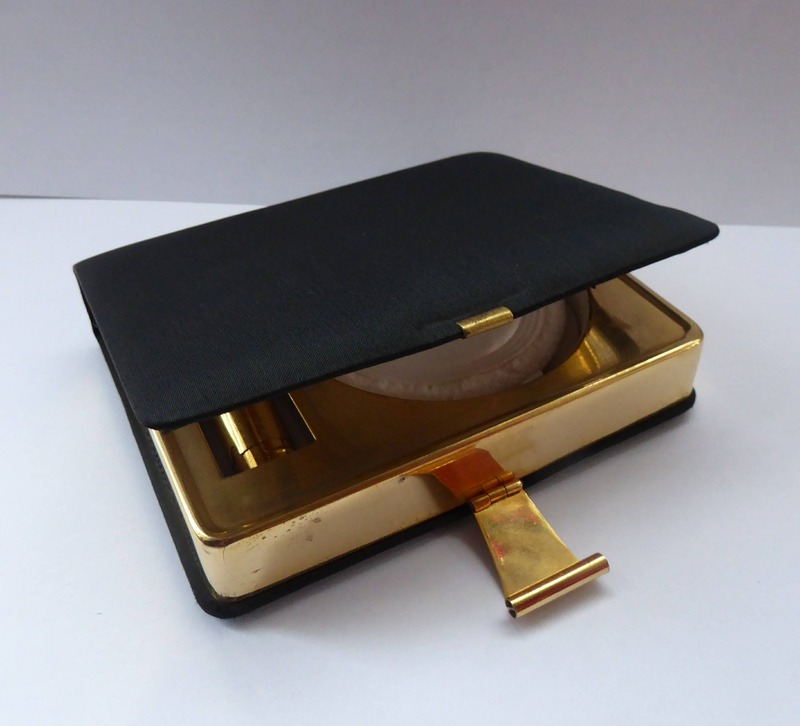 The little case has not been used - so in just excellent condition. 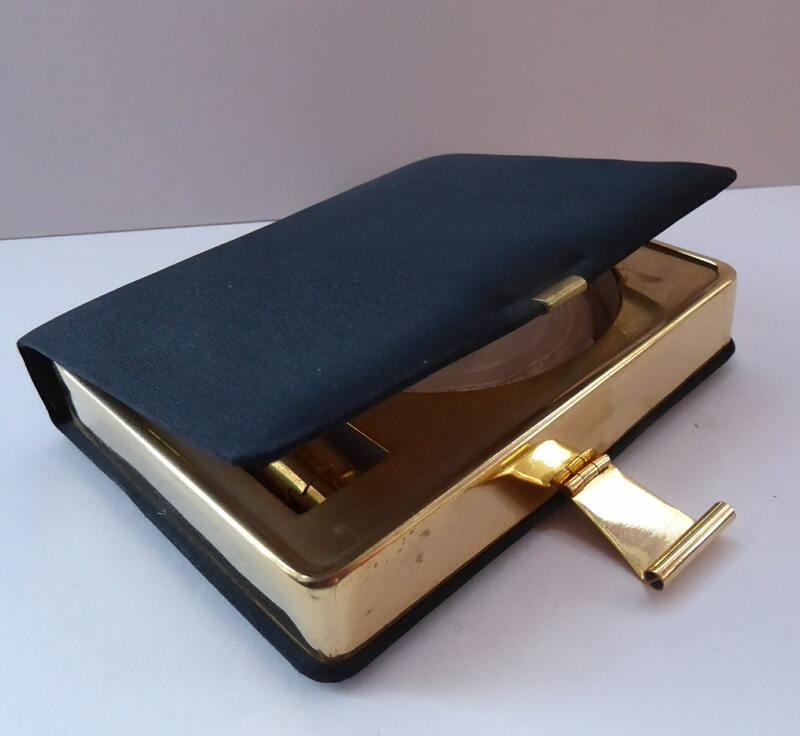 Very pretty - and a lovely item for your dressing table or your collection of quirky vintage compacts. HAPPY TO POST INTERNATIONALLY; PLEASE ASK FOR A POSTAGE QUOTE OUTSIDE OF THE UK.